Pixeloo has done it again. You may remember him for starting the big craze in un-tooning cartoon, and video game characters. 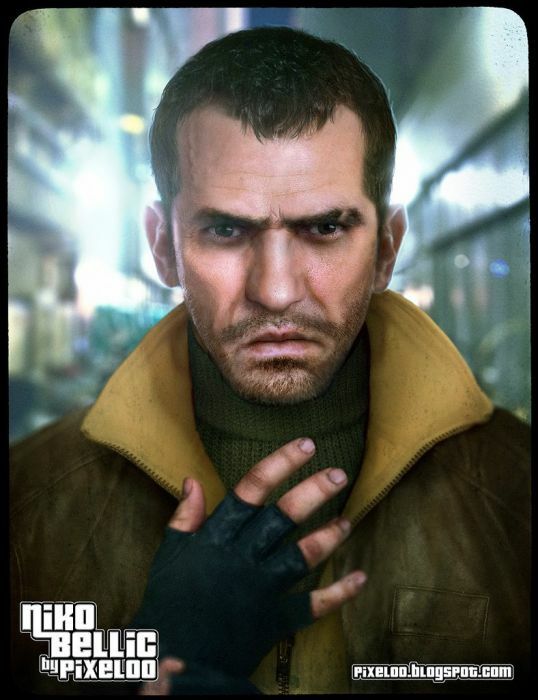 His latest work took Niko Bellic from the hit video game Grand Theft Auto 4, and made him into a real life man. Check out Pixeloo for details, and the high resolution version can be downloaded here.